Arrrgh, Matey, it be time for me to uncork a bottle I jiggered from me skipperrrr. Do me a favor and scrrrawl down me words in that prrrretty boy schooled wrrriting of yourrrrrs. Haarrrgh. And it be sweet on the nose, but not so sweet as the gold ring in yours. It be pepperrrrrr of mint, it be, and there arrrrrrrrrre overtones of butterrrrr on the short side of turning into the wind. It brings to ken the melting ghee we did smell when ourrrr skipper turned us past the Cape of Good Hope into the farrrr east. Tell yer parrot to stay away from me drink, boy! Or it’s parrrrrot stewed with potatoes and onions on me plate tonight. In me mouth, past me two teeth, I be getting me old man’s sweet tobaccy smell he blew at passing tarrrts. If it don’t taste like meerkats alow in the hold, me name tisn’t Gentleman Billy! Harrgh. It goes down better’n grog never did! “A risin’ tide on the Thames lifts boats and burns throats,” says me old skipper. It be syrrrrup made o’ black oak, made o’ acorns, mayhap made o’ squirrrrels’ that ett ’em. 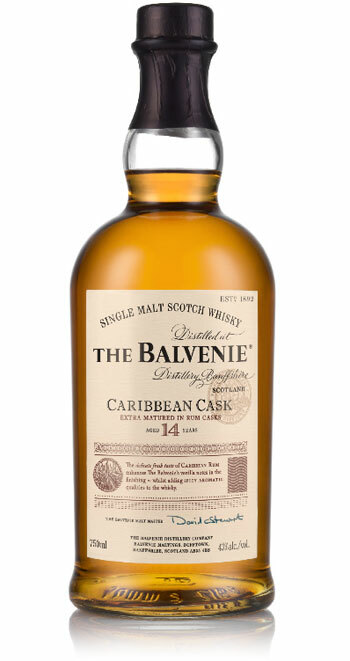 Me skipperrrr’s drrrrink [the Balvenie 14 Year Old Caribbean Cask] is keelhaulin’. It’ll rrrrrrip off yerrrr skin rrrrright quick, but it allows plenty o’ thrrrrrashin’ arrrrrround, flailin’ the arrrms like. Arrrrrrgh. —Thanks to Sam Simmons and The Balvenie for the sample!